Plato’s Republic is an immensely complex work, which has inspired perhaps more esoteric interpretation than any other Platonic dialogue. One of its striking features is Socrates’ description of an ideal state, which is, among other things, the first utopia in western literature. But what do we mean by ‘utopia’, exactly? And how would a utopia, assuming we can define it, differ from other imagined places we encounter in western esotericism? In this episode we take Plato’s ideal state as a starting-point for talking about utopias, otherworlds, and inner worlds, three types of place which are … well, whatever they are, they’re not the everyday world. And they are mainstays of western esotericism. Join us for a series of journeys to lands which don’t exist, but which may be more real than the place you’re sitting right now. Anonymous, 1700. Annus Sophiæ Jubilæus, or The Sophick Constitution. A. Baldwin, London. 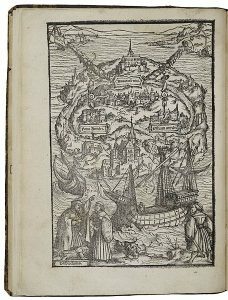 This alchemical utopia can be read online here. Campanella, T., 1623. Civitas solis. 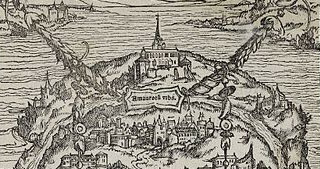 Tobias Adami, Frankfurt (first Latin printed version). An online text of the earliest known MS of the book can be found here on wikisource. Fourier, C. Beecher, J. & Bienvenu, R. (Ed. ), 1971. The Utopian Vision of Charles Fourier: Selected Texts on Work, Love, and Passionate Attraction. Beacon Press, Boston. John of Patmos’s descriptions of the heavenly Jerusalem can be found at Rev 3:12 and 21:2. More, T., 1516. Libellus vere aureus, nec minus salutaris quam festivus, de optimo rei publicae statu deque nova insula Utopia. More, Leuven. Orwell, G., 2013. Nineteen Eighty-Four. Penguin, London. Popper, K., 2013. The Open Society and its Enemies. Princeton University Press, Princeton, NJ. Proclus, W. Kroll (Ed. ), 1965. In Platonis rem publicam commentarii. Hakkert, Amsterdam. Carey, J. (Ed. ), 1999. The Faber Book of Utopias. Faber and Faber, London. Mallory, J. P. & Adams, D. Q. (Ed. ), 2006. The Oxford Introduction to Proto-Indo-European and the Proto-Indo-European World. Oxford University Press, Oxford. Good introduction to common otherworld-imagery across Indo-European cultures; commonalities include a guardian hound and, weirdly, an association with apples. Sargent, L. T., 1979. British and American Utopian Literature, 1516-1975: An Annotated Bibliography. G.K. Hall, Boston.